The Daily Neopets → Neopets Game Guides → Spacerocked! Sloth is back, and the Grundos of Kreludor have hatched a cunning plan to defeat his fleet of state-of-the-art spaceships - they're going to throw rocks at them. Yeah, you read that right, they plan to defeat Sloth with a few rocks and a tiny little slingshot! Whatever were they thinking? In Spacerocked, you play as one of Kreludor's Grundos. Your job is to knock Sloth's ship out of the sky with your itty bitty slingshot. The game has only three levels, and your slingshot does get bigger after each level. Your ammo is basically like your "lives" in the game. You get three pieces of ammo per level - even if you use up all three pieces to get past one level, you'll still get three more for the next level. Ammo usually means a small rock, though sometimes the worker Grundos who are supplying your ammo get a little mixed up and provide you with books and other random junk. Generally speaking, these random bits of trash don't fly as well as rocks but they can still be used to take down Sloth's ship if you get landed with one! To aim your slingshot use the up and down arrow keys. Once you're happy with your positioning you can use the spacebar to launch your ammo. Now, notice how the string on the slingshot is changing color from green to red and then back to green again? This is the "power" at which your ammo will be initially launched! The brighter the green, the further your ammo will go before it needs another boost. Now you're probably wondering what I mean by "another boost." This is where the Grundo Bonuses come in! Whenever your ammo is starting to slow down, or it looks like it might not make the distance, you can activate an extra speed boost by pushing the 'B' key. A turbo-charged Grundo will come along and give your ammo an extra little push! You get three Grundo Boosts per level. As your ammo travels along towards Sloth's ship, there are a few things you want to watch out for. Some are good, awarding bonus points and extra speed boosts, while others can stop your ammo in its tracks! 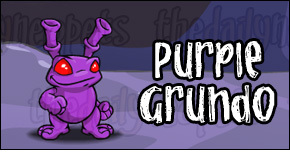 The Purple Grundo will give your ammo an extra speed boost when you hit him, similar to the Grundo Boost you get when using the 'B' key. These Grundos also award 500 bonus points when you hit them! If you can hit a Green Meteor with your ammo you will get a small speed boost, and 200 bonus points. 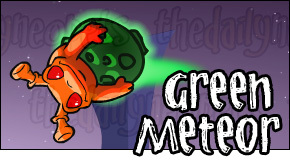 Green meteors may or may not have an Orange Grundo hanging on for the ride - and it doesn't really matter as they do the same job regardless. 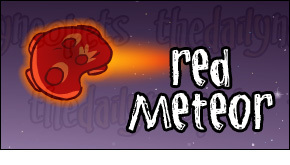 Red Meteors, on the other hand, will destroy your ammo and cause you to lose a life so make sure you stay well away! 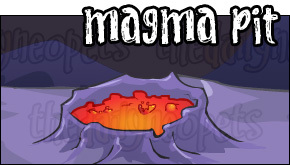 When your ammo lands on a Magma Pit it will get a tiny speed boost, as well as 100 bonus points. 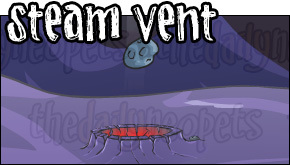 Steam Vents are... annoying. If you're unlucky enough that your ammo is directly over one when it goes off, then it basically stops the ammo in its tracks and you lose a life. 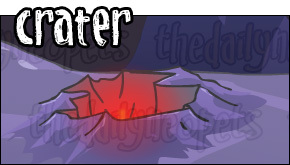 Almost as annoying as Steam Vents, Craters will also cause you to lose a life if you are unlucky enough to land on one - since your ammo will disappear down into the depths of Kreludor. 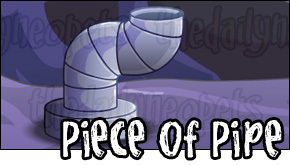 Pipes come in small or large sizes and act just like "walls" that your ammo cannot pass through. The only way to get by a pipe is to bounce over it, or to use a Grundo Boost ('B' key) in time to be catapulted over the top of the pipe. 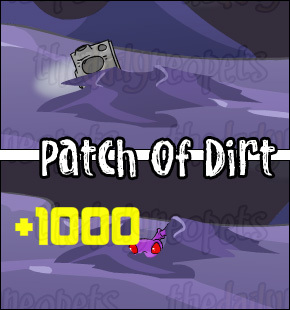 Finally, if you can land on a Patch of Dirt you will find either an extra Grundo Bonus, or another piece of ammo! You'll also get 1,000 bonus points. Neat, huh? Finally, to progress on to the next level you must hit the ship at the end of the current level. It is possible to get to the end of the level, but overshoot the ship and have to start again :(. This is pretty much just bad luck, though you do want to try and not use any Grundo Boosts too near the end of the level as these can cause your ammo to pass over the top of the ship! The real trick here is, of course, that you never really know when the end of the level is coming, so we're back to luck again. For the most part, this game is just a lot of luck. Getting a high score depends mostly on getting (and landing on) plenty of patches of dirt, or Purple Grundos - and that of course, is simply just luck. If you're going for a trophy, restart level 1 and do it over again until you get a score around 4,000 for that level. If you can and then can get decent scores on levels 2 and 3 you'll be on your way to a trophy in no time! 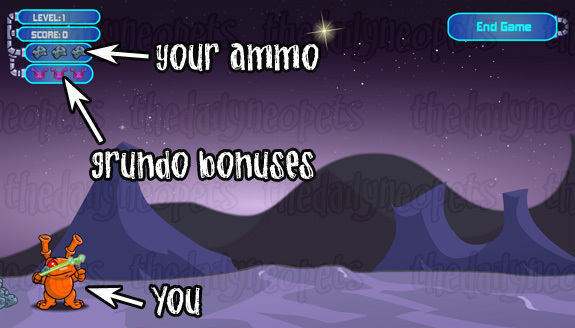 Once you're feeling more confident with the game, you can also use your first two pieces of ammo in each level to collect bonus points - you'd be running a bit of a risk though, because if you get a bad run with your last piece of ammo then you've lost. If you do try this strategy, make sure you keep enough Grundo Bonuses for the final run. You should only need two to get to the end of each level, so you'll always have one in reserve.